Having had a look in a few shops for little gift boxes to put my handmade chocolates in, I found myself disenchanted with the ones on offer. So of course I decided to make my own! 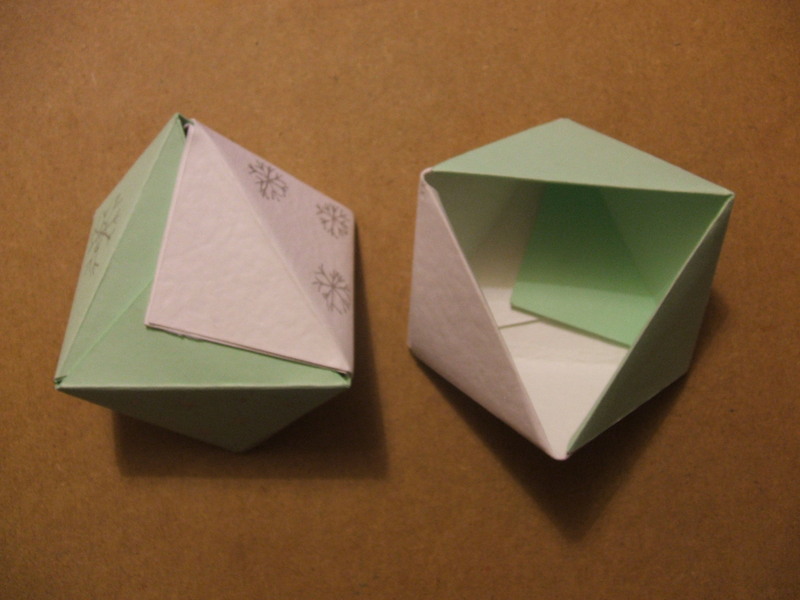 There are quite a few simple boxes that can be made out of paper/thin card; I opted for this box of triangles. I chose one without a lid, so the chocolates can be on display, looking fancy. 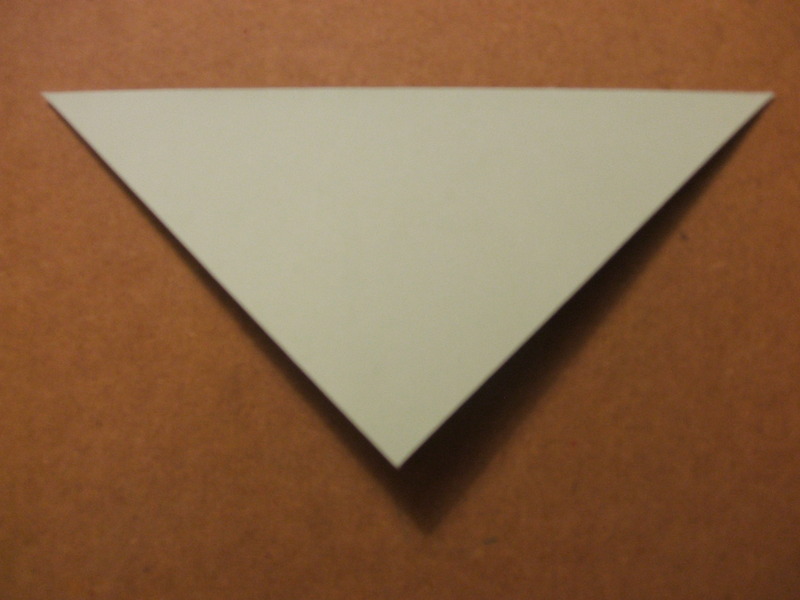 This one really is very simple and also very effective- just a bit different from your average cuboid! 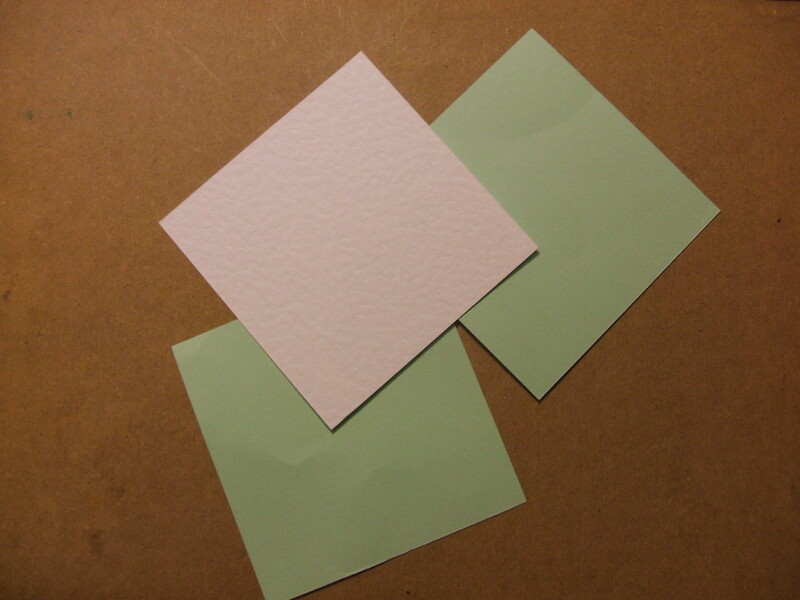 You’ll need three squares of paper/thin card, all the same size. I know this is obvious, but do think about the size of box you need! I used 3″x3″ squares. It turned out too small; I forgot I had 8 chocolates to fit in. 6″x6″ was perfect. 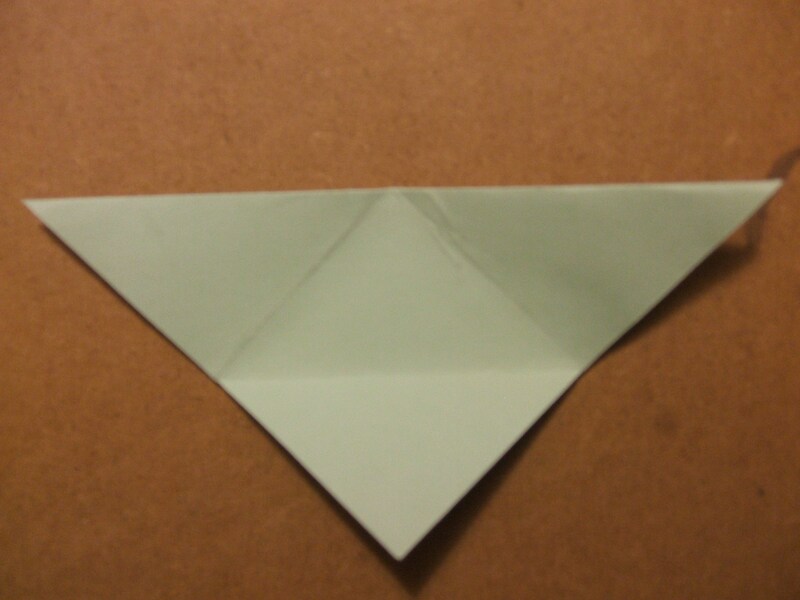 Firstly, fold your first piece of paper in half from corner to corner, creasing firmly with a bone folder/thumb nail/scissor handles/similar. 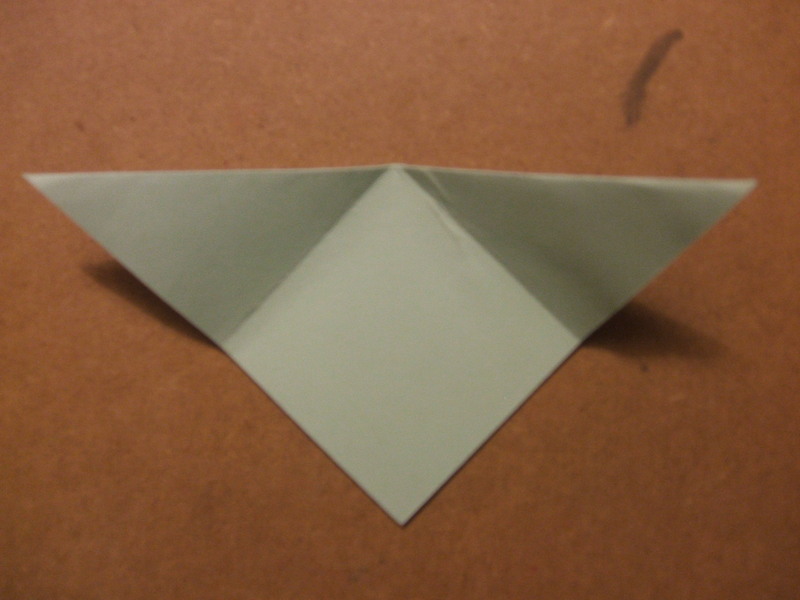 Next up, fold the two corners in to the centre point. Crease firmly and unfold. …and then join them up. At this stage, it should become obvious how it all fits together and the bottom forms. The perfect way to present my chocolates. 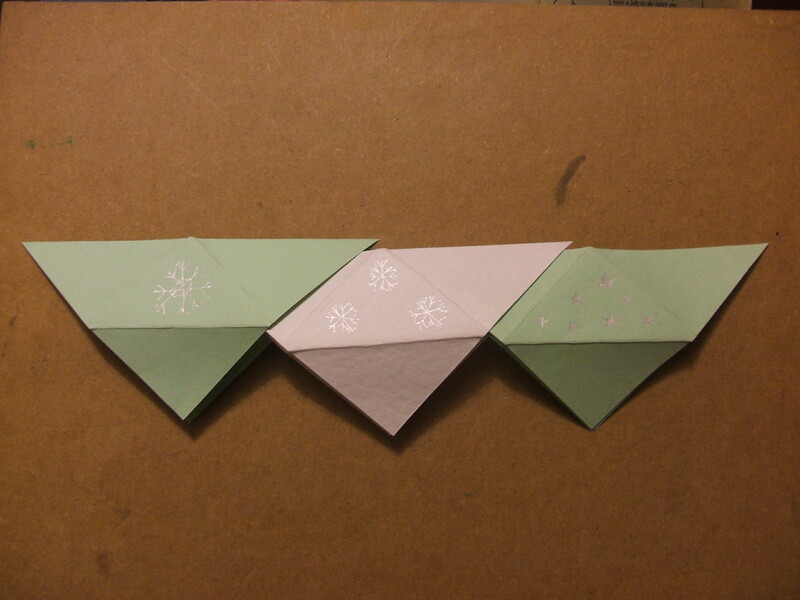 This entry was posted in Craft, Origami and tagged Christmas, Gift box, Origami. Bookmark the permalink. Post a comment or leave a trackback: Trackback URL.